Motorola seems to be a little late to the party as it seeds November security patch for Moto Z Play while December firmware is already rolling onto most devices. The delayed update only steps up the security patch level and doesn’t bring any anything else of importance. It moves the software build version to NPNS 26.118-22-2-8. The monthly patch is rolling over-the-air(OTA) from the Canadian region and will reach other parts of the globe shortly. The current update is based on Android 7.1.1 Nougat. Although Moto Z Play will get a bite of Oreo in the coming days, the exact timeframe is still unspecified.In the meantime, stable version of Android 8.1 Oreo is officially out now. For the latest OTA update, we have the link for you to download and install the firmware manually. We have also put up a tutorial for the same. Since the update is rolling through the air, your device will capture that itself. You can manually check for the availability of the update too. Download and install the update as per instructions. How to Install November Firmware NPNS 26.118-22-2-8 for Moto Z Play? 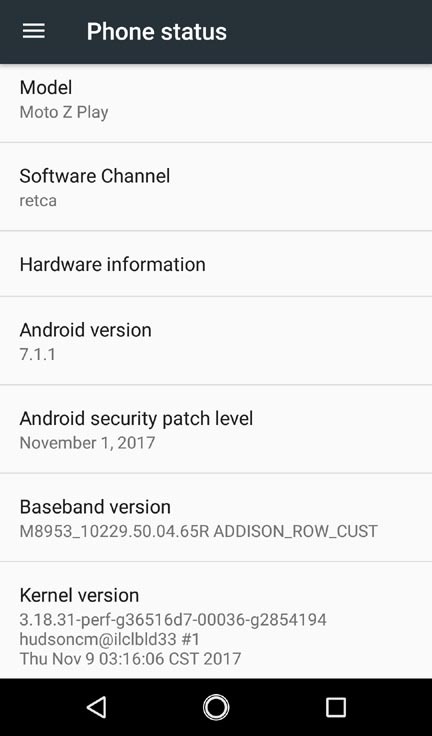 Here is the direct download link for the stock firmware that carries the November security patch for the device. Follow the tutorial link below to install this latest firmware on Moto Z Play. 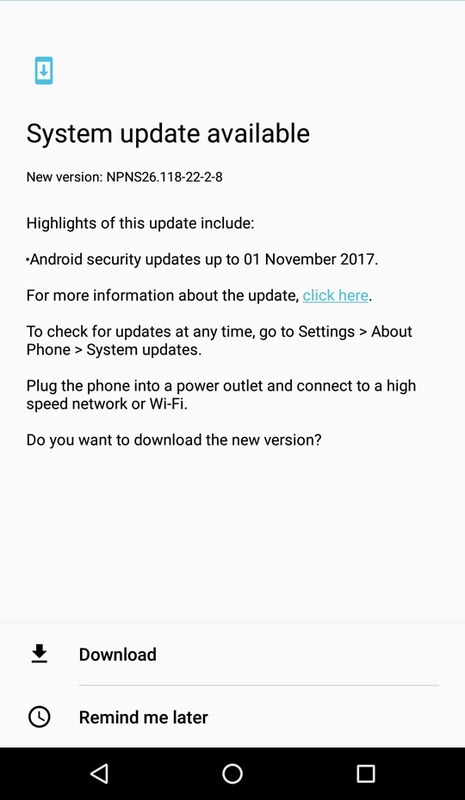 So, install the November security patch for Moto Z Play and fortify the device. Follow AndroidSage for all latest firmware updates, news and downloads.